There’s an old truism about how ski towns generally lack the female touch. How the joys of sliding down a snowy mountain are somehow almost always overrun with testosterone, unwashed hair and stinking underlayers. We’ve all seen the ratio at various woody taverns and slope-side lodges—4 dudes for every chick. Not in Whistler. Up here we have lots of girls—hard-charging, fun-having, party-rocking girls. Homegrown girls who can ride any part of the mountain better than you or I, and then warm any après with their bright smiles and tales of adventure. Girls like Britt Janyk, Mercedes Nicoll or Ashleigh McIvor. These girls are blond, fast and totally in control. 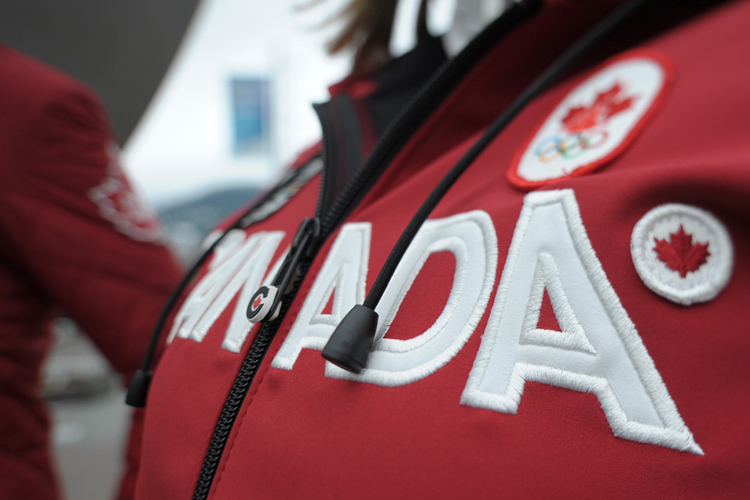 And they know what it’s like to compete on home soil in the big show—all three wore the pride and hopes of a community and a nation in the 2010 Winter Olympic Games. Britt Janyk was a child phenom ski racer who racked up medals for almost two decades and holds 15 Canadian Championship titles. On her home mountain at the 2010 Winter Games Britt took 6th place in Women’s Downhill. Mercedes Nicoll was a Snowboard Halfpipe specialist before most people even realized it was a sport. Since 1999 she’s nabbed 8 World Cup podiums and, smiling perpetually, placed 6th in the pipe at the 2010 Winter Games. Ashleigh McIvor started in ski racing then shifted over to freeskiing big lines, cliffs and powder before some friends talked her into competing in the local Ski Cross races. It was a good idea because “Ash” started ripping up the Ski Cross circuit including 1st at the 2009 World Championships. In 2010 she won a silver at X-games and a gold medal on home soil in the first ever Olympic Ski Cross. 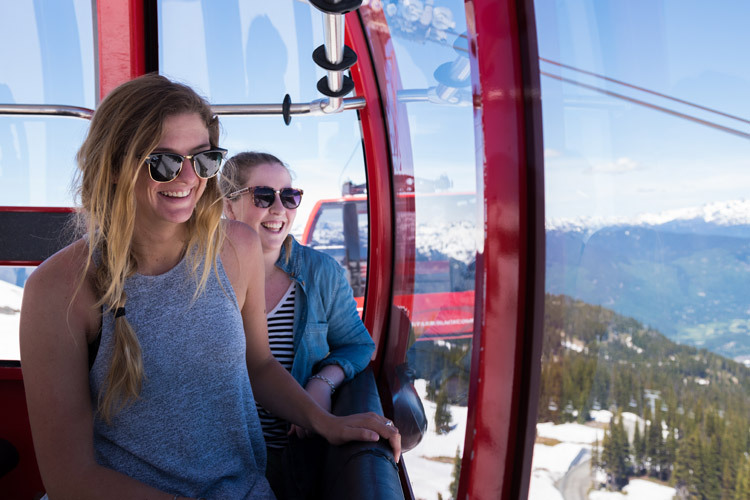 While filming for this week’s Whistler Sabbatical Project, The Insider was able to sneak in a few questions with Whistler’s golden girls about growing up here in town and why missing 4 months of school every year is the only way to go. 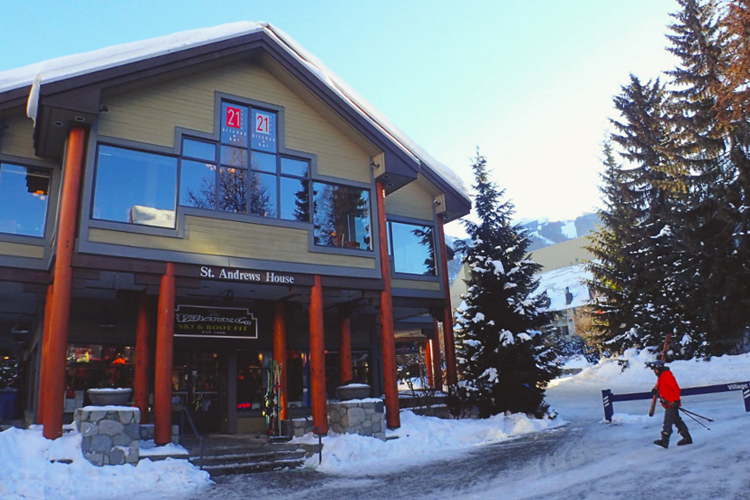 Whistler Insider—What was the best part of growing up here? Ashleigh McIvor—I would say access to this outdoor lifestyle, along with the spirit and passion of the people. Britt Janyk—The playground, Whistler is a natural playground and it’s endless. And not just in winter. Mercedes Nicoll—And we have the best mountains in North America in our backyard. 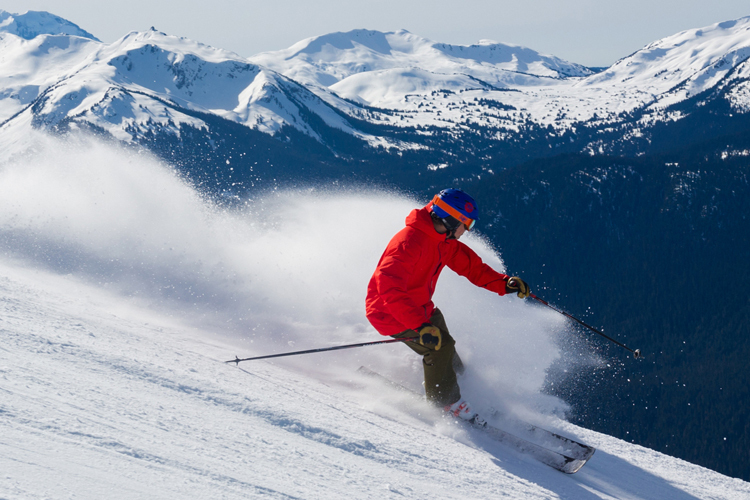 The Insider—Those mountains are responsible for what is generally known as the “Whistler Style” of riding. What does that mean to you? Mercedes—That just means riding with your friends, casual and fun. Riding everything. Britt —To me it means a passion for the mountains. Those of us who have grown up here, our love and passion is for the mountains and being out there and enjoying the environment. Ashleigh—I would say it has to do with a sense of freedom you get from just being able to rip top-to-bottom laps. I think that is why Whistlerites do so well at Ski Cross because we can adapt to varying terrain and snow conditions. I would say it’s the ability to adapt. The Insider—The road to becoming an Olympian requires a lot of hard work. What was it like training here while you were growing up? Britt—In grade ten I dropped all my other sports and focused on skiing. When I was home and going to school I would get up and do a dryland session before school and then hit the gym after. At sixteen I was on the BC team and had a teammate in town so we would do intervals around Nita Lake or I could bike to school. The environment in Whistler allowed us to train without always doing the same thing. Mercedes—I was in the Whistler Valley Snowboard Club. It was loose and we would build jumps, there was always someone helping me with new tricks. It really felt like riding with your friends and it worked for me. Ashleigh—I raced alpine from age 10-16 and most of our training was done on Upper Dave Murray Downhill accessed by the Orange Chair. So in between the bottom of the course and the bottom of the chair we would rip Goat’s Gulley or the trees far right of it. I guess that was my skiercross training. The Insider—Ash did you ever train with Britt? Ashleigh—She was always one of the older girls who was an inspiration to us. She was a step ahead. She was on the BC team so I wanted to be on the BC team. Then she made the National team so we all wanted that. The Insider—Britt did it ever get frustrating having to race gates while all your friends were out blasting pow and freeriding? Britt—Most of my friends were racers but it never felt hard, it was all we knew. I loved racing and I loved to win and I wanted to be better. But thankfully, one thing about Whistler is it snows a lot and that is not ideal for training gates. We had great coaches and it was strict but it was really well balanced—if it snowed we would split off with the coaches and go ski the peak or hit the trees. I remember doing a lot of that. The Insider—How much school did you miss due to your sport? Ashleigh—The high school was set up on a quarter system and that enabled us to have the flexibility. For the two middle quarters in the winter, we would disappear. Mercedes—I would be at contests all winter and then do regular school in the spring and fall. Britt—Me too. I did all my classes in the first and fourth quarters. And I could go to school and they had a teacher there just for the athletes. That made a huge difference. Ashleigh—I felt like we grew up learning really independently and that set me up for university because it is more like that. The Insider—Did any of you ever feel like athletics might have detracted from being able to have a normal life and childhood? Ashleigh—For sure I was questioning it when I was sixteen but looking back I wouldn’t trade those experiences for anything. Sport is a metaphor for life in general. I learned some valuable lessons. Britt—For me it never felt like a sacrifice. Mercedes—Not for me either, because I was traveling with kids my age. We were just kids being kids in a different country. Nowadays it is a bit different, the halfpipe is changing and everyone has a personal coach but for me snowboarding was just about being out there with your friends. If you’re not having fun and smiling you should be doing something else. The Insider—You have competed all over the world. Does what happens on the road stay on the road? Mercedes—Depends where you are but yes. The Insider— Talk about the importance of getting up the hill with your families? Mercedes—I wouldn’t be riding if it weren’t for my family. I’m so appreciative of my parents for showing me this, the mountains and everything. We still have family ski days and that means a lot. Ashleigh—I grew up skiing with my family. I didn’t want to go to ski school so my parents said, “Okay you can ski with us.” They waited for me and now I am happy to wait for them. Britt—I think it really brings it full circle. For myself and my brother (World Cup racer Mike Janyk) skiing is like our job but when we go out as a family it just takes it back to the beginning. 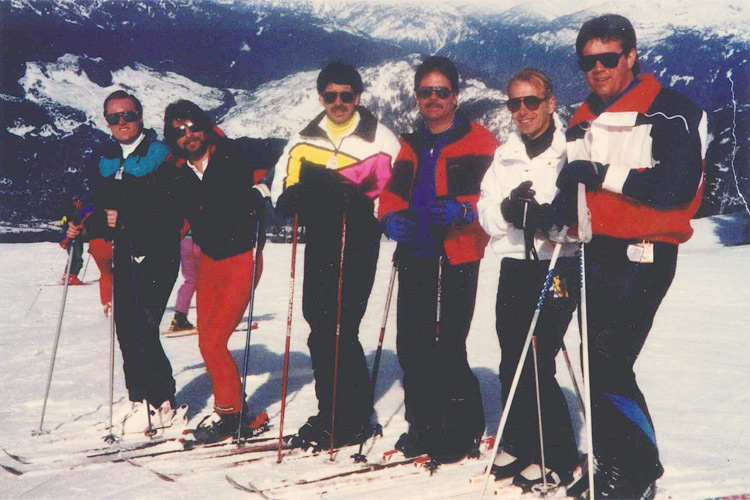 When we weren’t in Kids Kamp we just skied with our parents. And now I find it is a social thing, I see people from back when I was in the ski club and they’ve moved on but we always find each other back on the mountain. The Insider—Time to give away some secrets ladies, what are your favourite local runs? Ashleigh—Peak to Creek zone, definitely. Mercedes—I love Fisheye and Crabapple. Britt—I like the open cruising runs on Blackcomb, Ridge Runner, Honeycomb, Zig Zag. And for just ripping I love Spanky’s. I feel like Blackcomb is more open and on Whistler there is just as much there but you have to know where to go a bit more. I found myself bouncing around from one to the other this winter. The Insider—What advice do you have for kids who want to be just like you? Britt—Just go have fun, ski with your friends and have fun. That is what it is all about and you will have those friends for a lifetime. Mercedes— Yes, exactly. And don’t take it too seriously. Ashleigh—Yes. Keep it positive and have fun. My best results always come when I am having fun. The Insider—Thanks ladies. Keep on ripping and keep on smiling. You’re heroes. 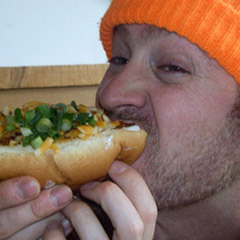 Speaking of heroes and girls who rip, on January 19, 2012, the Whistler community and enitre snowsports industry lost an icon. 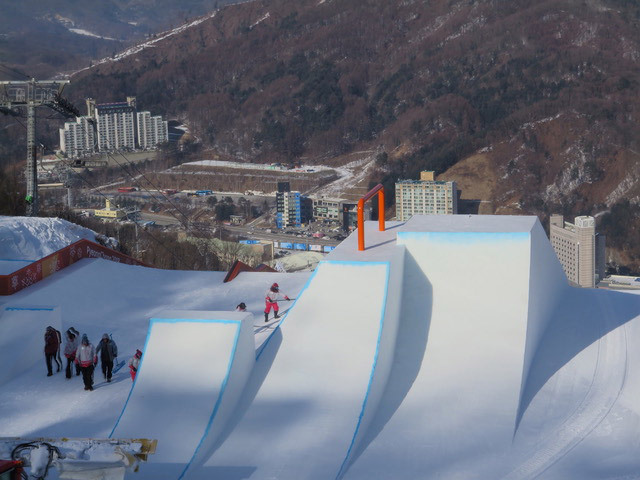 Sarah Burke, freeskiing pioneer and six-time X Games gold medalist, passed away. Sarah was truly a legendary athlete, role model and an inspiration. She was a trailblazer for skiing and her warmth, compassion, determination, integrity, grace, humour and passion will be sorely missed. To learn more about Sarah’s life and incredible achievements go take a look at her website. See you on the other side of the slope Sarah.